Let’s start by conjugating the verb. I tweet, you twit, he twitters, we tweet, you twit, they twitter. 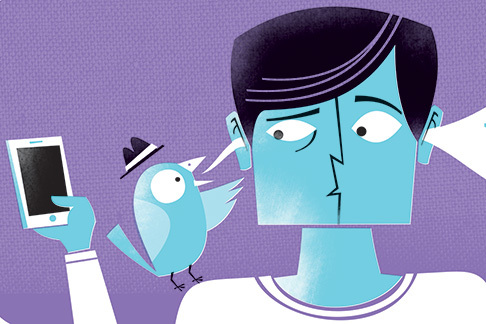 Notice everyone is tweeting except you…you are merely a twit! Now, don’t get narky: back in my mid-forties, I was just like you. Disconnected. This entry was posted in medical writing and tagged humour, twitter. Bookmark the permalink.